After finding a bluff hiking jewel at Montana De Oro State Park near San Luis Obispo (See over60hiker blog for March 15, 2014), we drive north on the four lane route 101 from Pismo Beach. 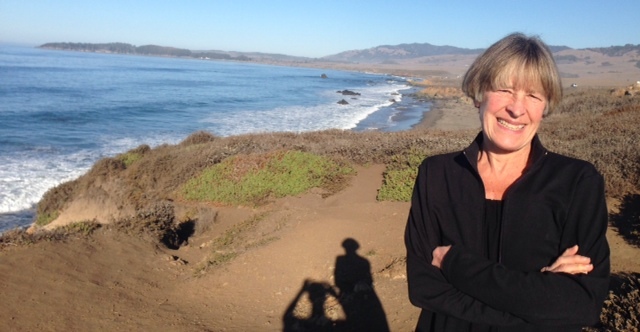 We are in search of one more coastal bluff trail somewhere near Big Sur. 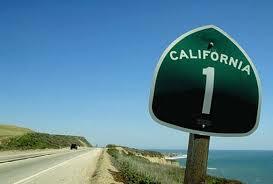 There are three popular routes to drive from Los Angeles to San Francisco. I-5 lies in the center of the state and makes for an express ride north or south. Between the coast and I-5 is the quite direct 101 highway with a little more curves and a little less traffic. Today we leave Pismo Beach on the 101, but once we hit Morro Bay we will take the third option, Route One, the Pacific Coast Highway (PCH), north. 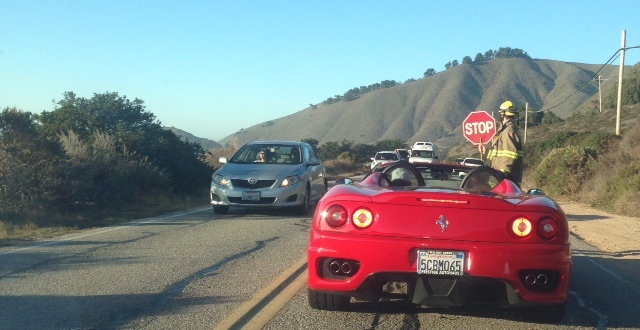 It’s mid-January and the PCH passes through farmland on the way to Cambria. Athletic couples bike the road which at this point has ample shoulder for comfortable riding. Seems like a rite-of-passage kind of bike ride. Something you always said you would do. Some twenty miles later the PCH turns into a winding, harrowing, plunging and rising trek with shoulders a thing of the past. Once at Cambria, some 250 miles south of San Francisco, the PCH becomes a two lane road, but we encounter little traffic on this Saturday morning. We pass right by the entrance to the Hearst Castle since it is outdoor exercise in warm weather that is at the top of our agenda. (We just don’t exercise outside in the winter in Maine because of our dis-affinity for the cold). 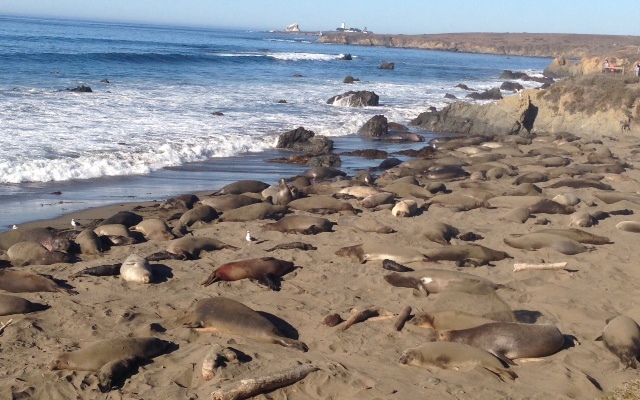 We see signs for the elephant seals rookery at Piedras Blancas, which is free to the public. Rolling into a parking lot with forty cars and room for more at 10A, we discover the breeding grounds of up to 20,000 elephant seals. Come late November adult male seals come to this part of the coast of California to establish who’s Da Man for the upcoming breeding season. Eventually an Alpha male, often weighing 5000 pounds and up to 16’ long, emerges through battle and becomes Papa. There is a subset of small “a” alphas that also play a role in the breeding season. While most females are still out to sea after carrying their pregnant young for some ten months, they return in mid-December and form harems around the alphas. Delivering their 70 pound pups, the moms nurse their young for four weeks. During the fourth week, the females mate a few times, abruptly wean their pups who have quadrupled in size, and then it’s see you later alligator for the Mamas; they hit the road, or in this case the open sea, and family life is over. Fortuitously arriving during the mid-January breeding season, we take to the viewing platform some 300 yards long. Basically the large seals lie around all day, flip sand on their backs, flop here and there, and get one helluva tan. On this 75 degree day, the grunting noise from the competing seals punctuates the landscape. 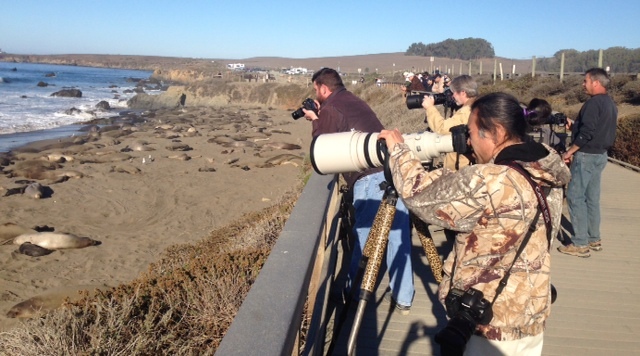 Only since 1990 have seals been coming to Piedras Blancas. One pup was born in 1992; twenty years later 5000 were born. Heavily hunted in the 18th and 19th centuries for the oil in their blubber, the elephant seals saw their number drop to 50. Today they number approximately 175,000. Thirty minutes of big, floppy seals is quite enough, for it is exercise that is at the core of our being. 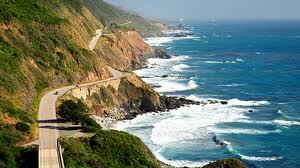 So it’s north on the Pacific Coast Highway, a road that requires patience and a gentle California state of mind. Fact is, it’s just slow going. 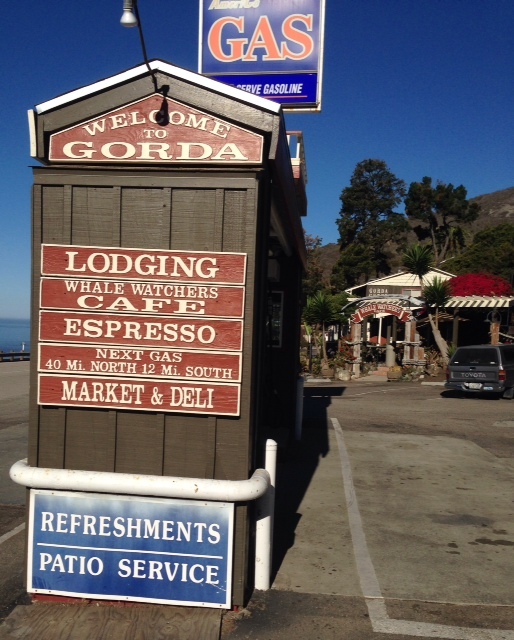 Climbing the serpentine roads of the coastal facing mountains of the Los Padres National Forest, we arrive at Gorda; fortunately we need no gas. 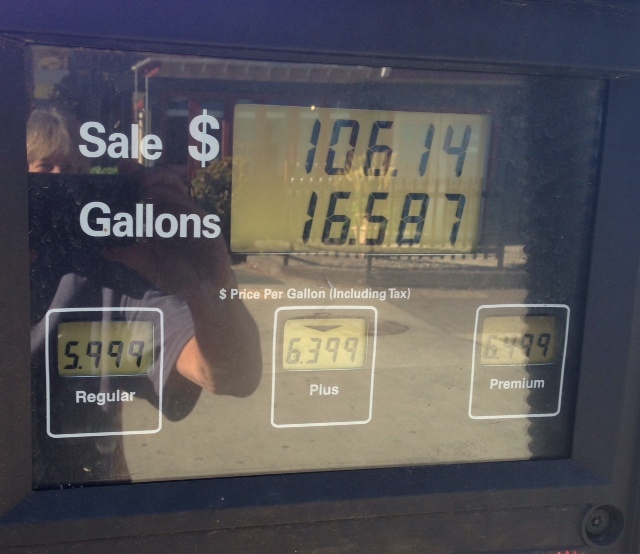 Earlier in the day gas at Pismo Beach was $3.79 per gallon. Our WAZE GPS no longer works and, please, cell phones become useless electronic appendages. In many places the highway has such hairpins that we make turns at 20 mph or less. The driver has little chance to enjoy the scenery while keeping in line on the narrow road. 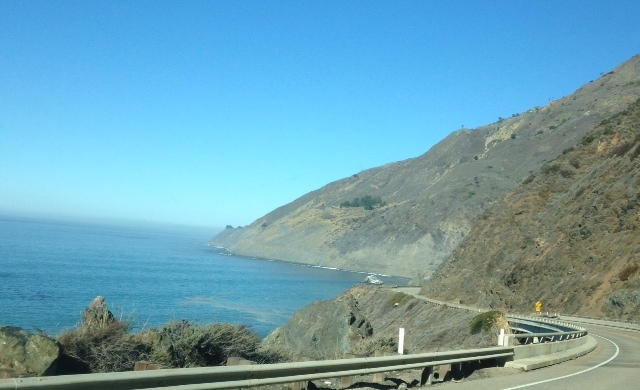 But to paraphrase Jerry Seinfeld, the Pacific Coast Highway is real and it’s spectacular. Crashing surf and shoreline vistas impress us to the west. Being mid-January the traffic is light and we are usually the slowest one on the road anyway. And then we are dead stopped for 25 minutes. Once the Monterey County sheriff’s department sends us through on one lane, we see a jazzy sports car literally resting half over the cliff, 2oo feet above the rocky shore. Fortunately, driving north we are always on the mountain side of the road and away from the sheer cliffs. Later in our trip north of San Francisco. 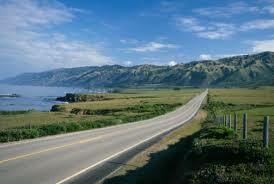 we will return to the PCH at Jenner, CA and our GPS will tell us that it’s 71 miles and it will take two hours. In disbelief, we scoff. Oh, but it does. The twists and the turns make it turtle-like slow going. 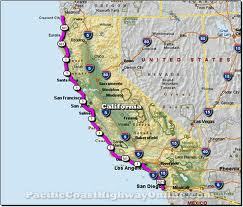 In the future we would only travel 100 miles per day on the PCH (and that’s still three to four plus hours of driving). We’d take more time to hike its trails and explore its beaches so we are not car-bound for hours on end. All the signs are pointing to a return to California. And soon! 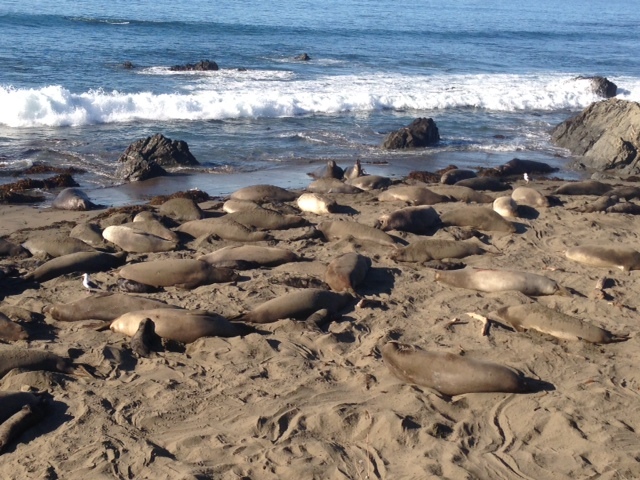 This entry was posted in California and tagged elephant seal breeding, elephant seals, Gorda California, Pacific Coast Highway, Piedras Blancas. Bookmark the permalink. Love the Waze shout out! Very informative Dan. 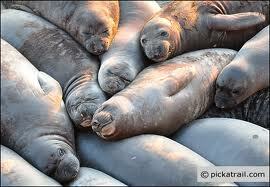 Great elephant seal photos. Where will you be next week? 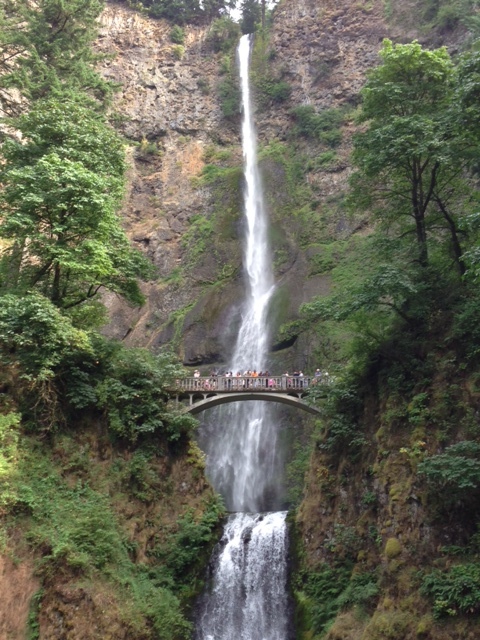 We found it remarkable that you visited here and eight weeks later the President designated it a National Monument. I’m going to CA in November. I’m driving from San Fran to San Diego in two days. Can anyone suggest the best place to stay overnight? Our thoughts are Santa Barbra.